I was thinking, with all this agonizing over paint that I'm doing, it might be helpful to share some pictures that I loooooove. I mean, I did share the inspiration post the other day, and those are great examples, too. But I was re-reading one of my favorite books yesterday and I realized that there's one house in there in particular that really speaks to the "look and feel" I'm going for with my studio. 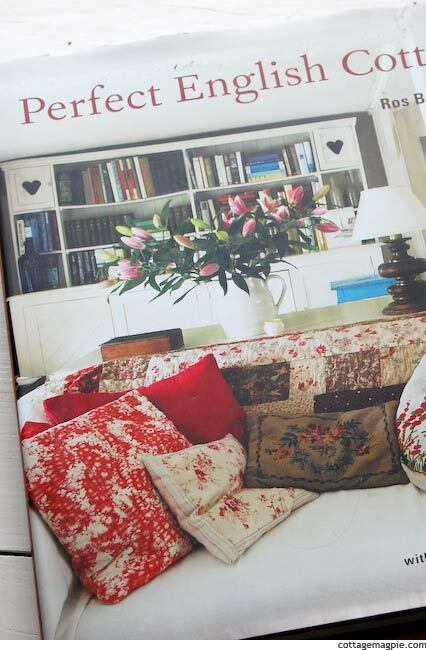 The book is called "Perfect English Cottage" by Ros Byam Shaw, and I wrote an actual review type article (with more pictures), in my Decorating section, where I hope to start compiling some more information and reference materials for myself. There's not much there yet, but feel free to check it out if you'd like to. But back to this house. It's the very first house in the book, and it's totally captivated me since the day I opened the book. The bedroom above is part of it. Isn't it great? I love all the color, vintage artwork and eclectic things. 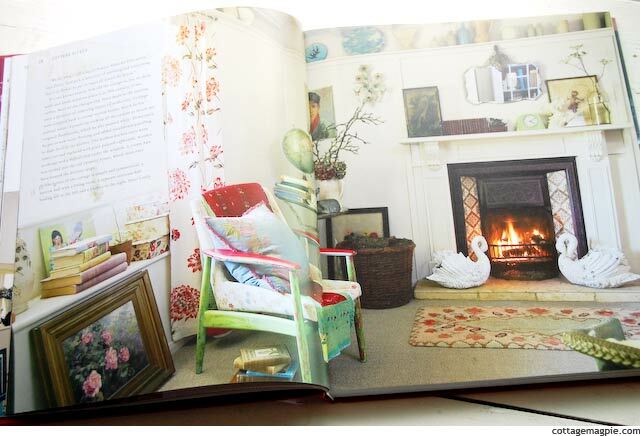 The owner works for a design firm doing textile designs, so the house is full of vintage fabrics and things. I love it. Here's a close-up look of the one corner. Isn't it great? All that color, and yet not overwhelming at all. Even with all the color in the space it still feels very soothing. You can really tell from this staircase how he uses color. Most of the house is white on white, so that the things take center stage. There's that bright blue, but just as a painted strip on the stairs, not more. I love how that looks. Guess what surprised me the most when I was re-reading it! The chairs in this picture of his dining area! Pink!! And nearly the same color as I painted my pink chairs. I'm wondering if these picture are more stuck in my brain than I realized. Ha! 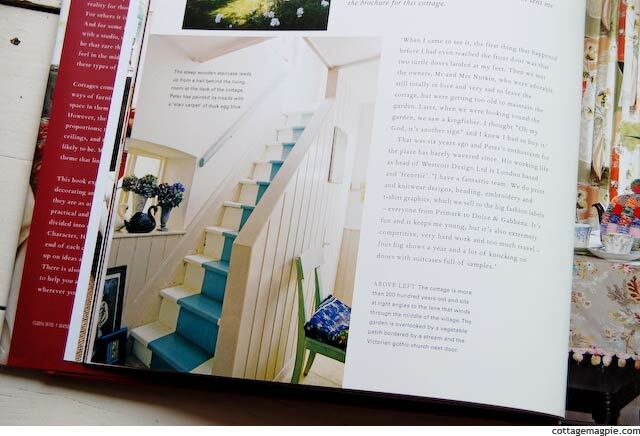 If you want to see more pictures from the book, I wrote a review of sorts in the Decorating section. Enjoy! Anyway. I hope you enjoy them and it shows where I'm heading in my craft room. Now I'm off to primer over that bright blue wall and start again!! What about you? Any do-overs in your life lately?